As founder and CEO, Andre’s passion and enthusiasm for sustainable agriculture in Africa is unparalleled. He constantly leads the team to surpass the ordinary and achieve greatness in all aspects of the business. His philosophy of ‘Lead from where you Stand’ is an integral part of the Madumbi culture of integrity, passion, innovation and excellence. Andre is a founding member of Bio Protection Global, BPG, a body responsible for driving sustainable Biorational solutions on a global level. Michelle heads up Business Finance and Administration for South Africa and Rest of Africa (ROA). 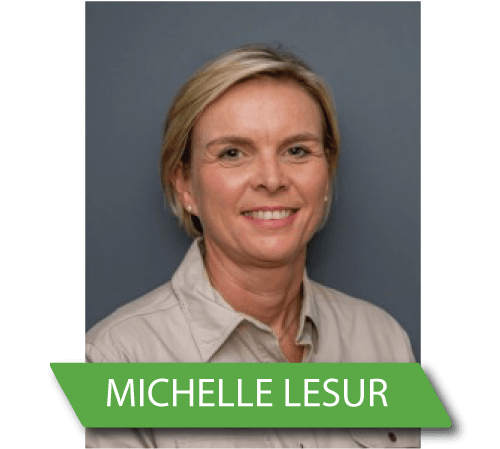 Michelle is well connected to the agricultural industry and specialises in business development for agricultural operations. Her experience and understanding of the industry make her an ideal Financial Manager for Madumbi. After completing a BSc in Biological Sciences, Megan joined Madumbi in 2007 in an administration and customer service role. Megan has grown within Madumbi, across all of its complexities, and currently heads up the Business Development team which encompasses sales and solutions development. 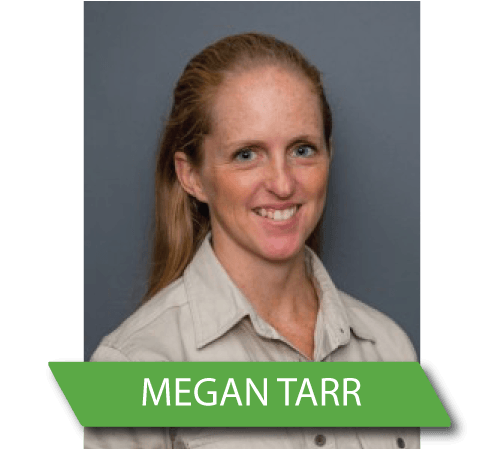 Megan’s commitment to integrity and excellence makes her a valuable member of the team. 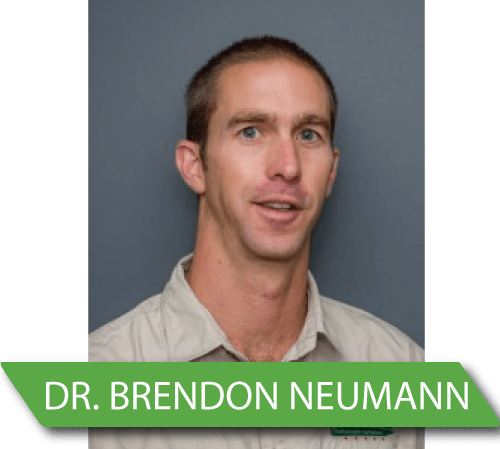 Dr Brendon Neumann is based in the southern regions of South Africa as a Key Accounts Manager and is responsible for growing business in this region. 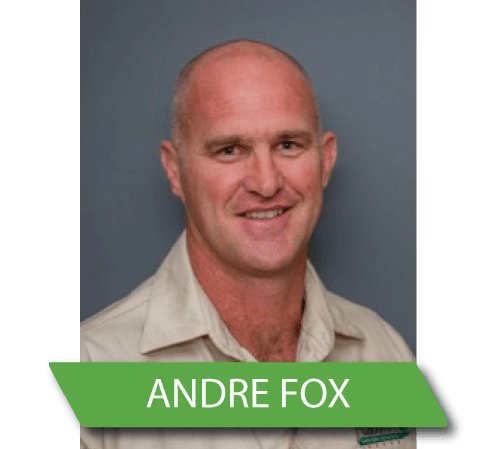 Brendon comes with a wealth of experience in the biological industry and has a Doctorate in Plant Pathology, making him a valuable member of the team. He has a special interest in microbial and nutritional products for pest and disease control, contributing to both the formulations and development of various products. Brendon is respected in the industry for the knowledgeable contribution he makes. Sias is responsible for business development and sales support in the Central and Eastern Cape regions of SA. 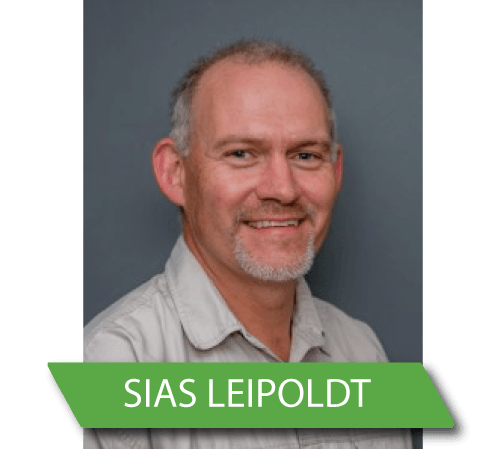 Sias obtained a MSc in Entomology from the University of the Free State and during his working career has gained more than 15 years’ experience with the development and commercialisation of biological products. He is passionate about the Biological industry and the integration of biological products in conventional agricultural crop programs. Wilma is supporting the Northern regions of South Africa as Key Account Manager. Wilma completed her MSc (Agric) in Microbiology at the University of Pretoria and has been registered as a Professional Natural Scientist since 2012. 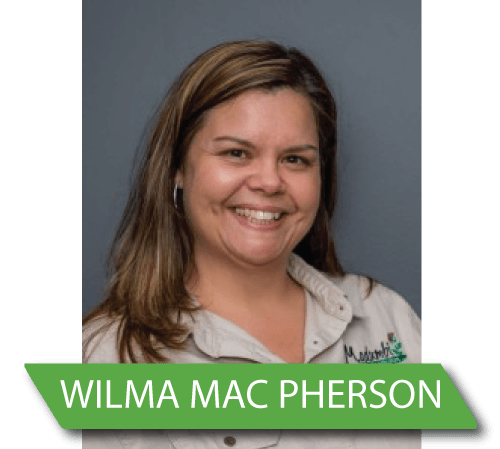 With her passion for biological products and vast experience in manufacturing, formulating and applying biological products in the field, Wilma is a valuable member of the Madumbi team. 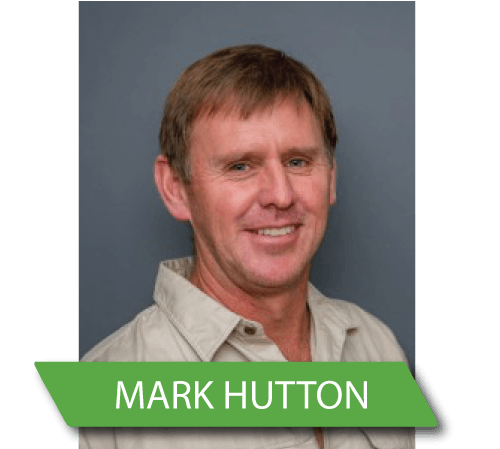 Mark is the Key Accounts Manager for Africa and is responsible for the development of new distribution networks and markets in Africa. He has more than 20 years experience in agriculture where he managed, produced and marketed all farm products directly to the retail sector. 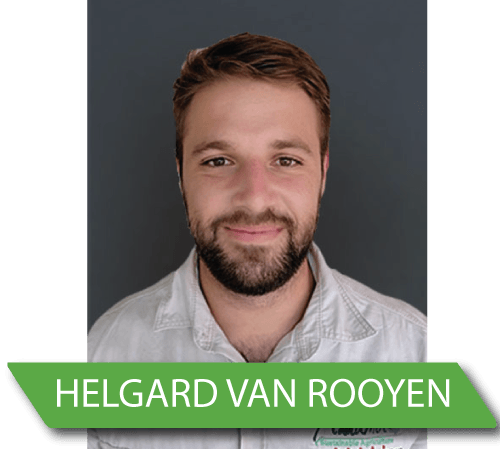 Helgard is a recent addition to the Madumbi Business Development team and is based in Paarl, Western Cape. He completed his BSc Agric Horticulture and Agri Economics at the University of Stellenbosch in 2018. Helgard is passionate about agriculture, he is ‘fresh’ in the field, energetic, eager to learn and excited to be a part of the Madumbi journey. Dawid is part of the Business Development team in the Northern region of South Africa (Gauteng & Limpopo). 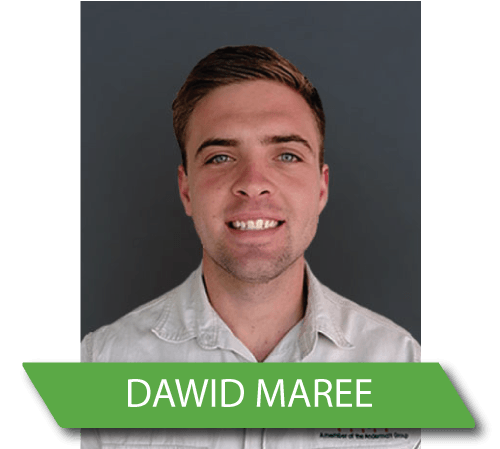 Dawid joined Madumbi in December 2018 after completing a BSC in Botany and Geology as well as a post graduate diploma in Business Management from the North West University. Madumbi admires Dawids enthusiasm and energy, his infectious smile and ‘can do’ attitude add great value to our team! Johan has a wealth of experience in the agricultural industry, having worked for a number of strategic agricultural organisations in South Africa. His commitment to growing food sustainably for the future makes him the ideal Business Analyst for Madumbi. 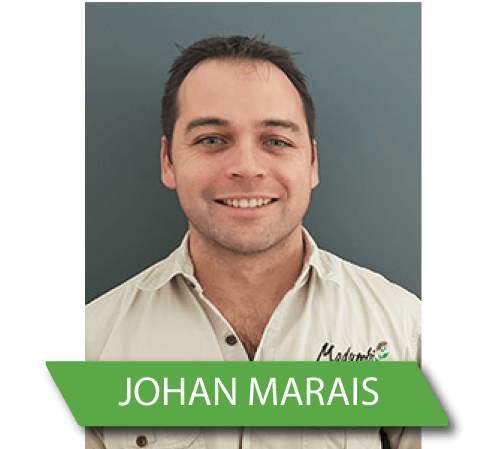 Johan is responsible for ensuring that, as a company, Madumbi remains firmly positioned as the market leader in the biological industry. 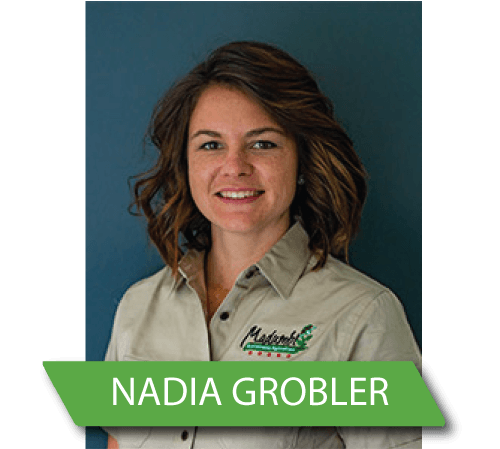 Nadia is the trial coordinator responsible for product development at Madumbi. She has a Bachelor’s and Honours degree in Environmental Sciences and an MSc in Plant Pathology. Her passion for science, working with people and discovering innovative sustainable solutions ensures that Madumbi remains at the forefront of technological developments. Donvae’s expertise lies in marketing and communication. 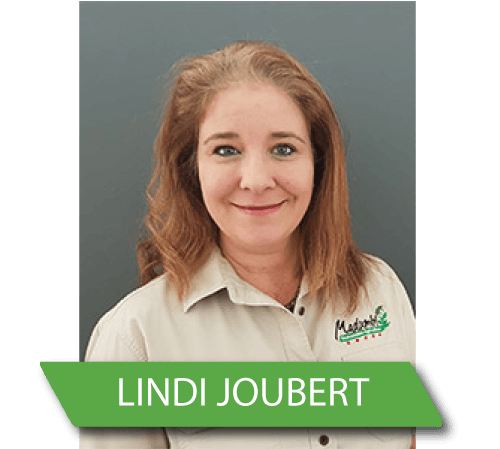 With 20 years of experience in the retail gardening industry, her passion for Madumbi’s EcoBuz range is responsible for changing the current landscape in the South African garden industry. With a BSc. Agric. 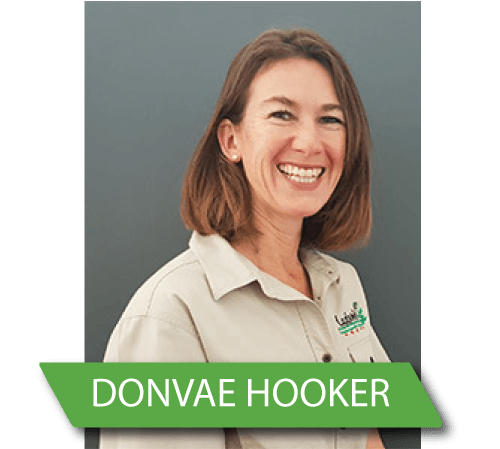 Hort degree, Donvae fully understands the importance of the science behind Madumbi’s journey to sustainability. Billy heads up Madumbi’s distribution centre, based in Merrivale, and ensures that all agricultural and retail products which pass through meet the company’s quality and registration control standards. The Madumbi logo provides assurance of this. 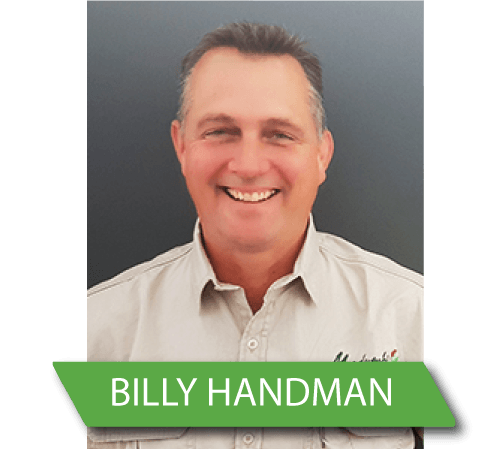 Billy’s experience in the KZN agricultural sales industry also qualifies him for the position of Key Account Manager for KZN, where he builds strategic relationships with key customers. 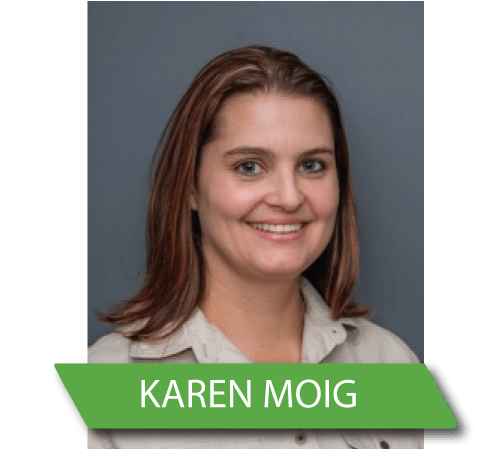 Karen joined the Madumbi team in April 2012 and is the primary point of contact for customers on all order and account queries. Her ‘can do’ attitude makes her an asset, not only to our team, but also to our customers. 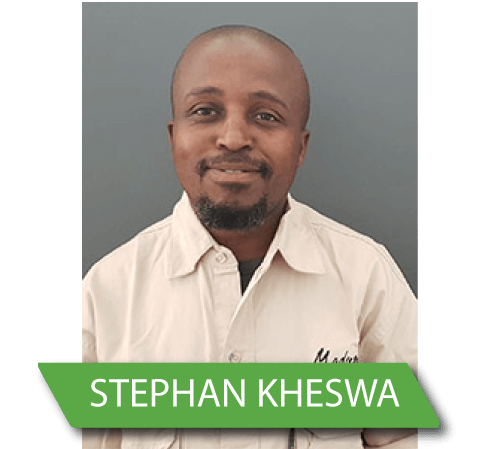 Stephan plays a vital role in Madumbi’s Distribution Centre, ensuring the efficient management and logistics of all Madumbi products. His organisational skills and attention to detail ensure the warehouse remains in an orderly condition for timeous dispatches to all Madumbi customers around the country. 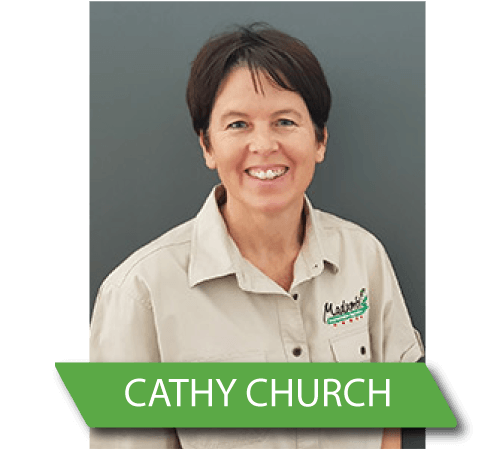 Cathy provides administrative support to both divisions within the company – agriculture and retail. 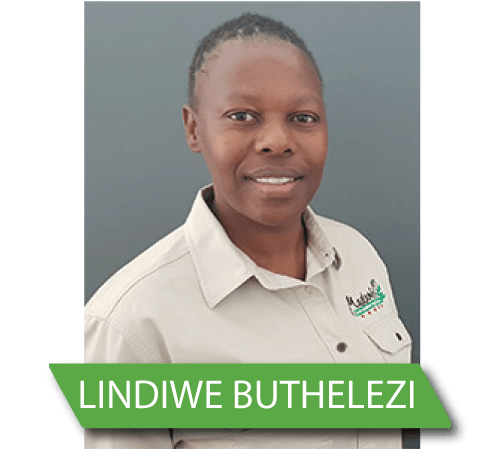 Her expertise and passion for gardening makes her a valuable member of the Madumbi Retail team and champion of the EcoBuz range. Lindi is an integral member of the finance team, ensuring accurate and efficient reporting on all business activities within the organisation. Her attention to detail and commitment to delivering excellence are of the highest calibre. Her continuous improvement of Madumbi’s systems ensures an evolutionary operational and reporting efficiency. Lindiwe is a special member of the Madumbi Hilton Head Office team. Her selfless acts of service enable the administration team to focus on growing and delivering excellence. Lindiwe welcomes our visitors to Madumbi with her warm smile and friendly nature. 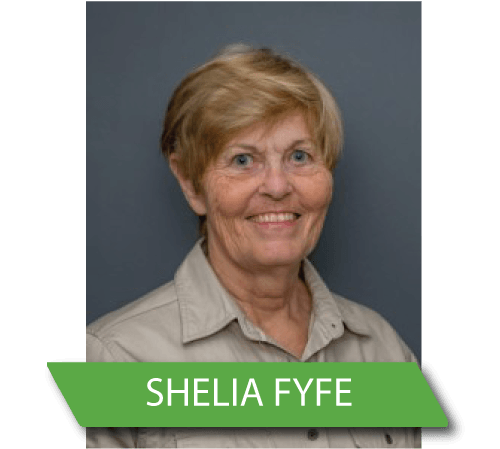 Sheila’s knowledge and experience in all aspects of administration – as well as her thorough approach to any project handed to her – makes her a valuable member of the Madumbi administration team. Her responsibilities include reporting and stock control at Madumbi’s Distribution Centre. 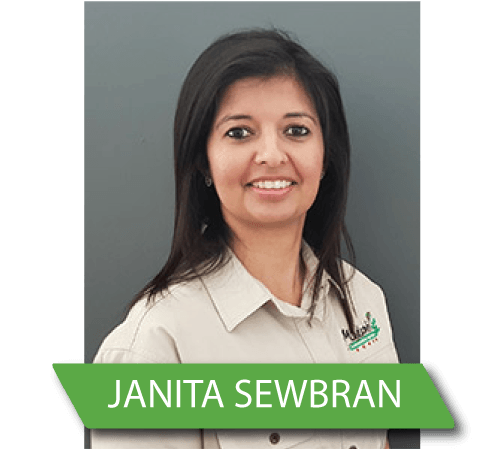 Janita is an asset to Madumbi’s Customer Liaison team. Her calm and friendly nature ensures that Madumbi’s customers receive a very high level of service and timeous completion of their orders. She is meticulous with paperwork, has excellent organisational skills and values the customer as an important part of Madumbi’s business.